STOCKHOLM: “This will not come to any resolution. There´s too much at stake. All I can do is to write my book about it,” says Eva Gabrielsson, the long time partner of the late bestselling author Stieg Larsson. Why the interest? Well, Larsson’s novels – the bestselling Millennium trilogy, which starts with The Girl with the Dragon Tattoo — have sold 12 million copies worldwide. Gabrielsson is in the midst of a contentious battle over control of the estate. 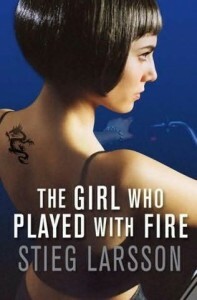 Currently valued at some 100 million Swedish kronor ($13 million), Larsson’s estate is likely to double or triple in coming years as the books continue to appear in more languages around the world (the second volume, The Girl who Played with Fire is scheduled to be published in the US this July). Gabrielsson, now 54, lived with Stieg Larsson from 1974 until his death in 2004. Yet, due to Swedish inheritance laws, she was not entitled to a single krona. Instead, Larsson’s father and brother, with whom Eva claims Larsson had little contact, inherited the rights to the books. “In Scandinavia, inheritances are “distributed” by law. People very seldom write testaments,” wrote Gabrielsson. “And Stieg lived under the impression that the special Cohabitation Act for common law relationships would also include inheritance. It does not. And that law also gives me no rights to go to court.” Her only hope is to try and reach a settlement with his family, something she’s pursued through her lawyer. Among the items being fought over is Larsson’s laptop, which is said to contain some 200 pages of manuscript for a fourth novel and, it is speculated, outlines for further books. At one point, the family offered Gabrielsson their share of the apartment where she lived with Larsson in exchange for the laptop, a tactic Gabrielsson described as extortion. The case has generated interest all over Europe, where Larsson’s books have topped bestseller lists. “Earlier this year, I was watching a documentary about the case,” said Jan Moberg by phone from Drammen, Norway, “and I got the feeling someone had to do something about this.” Moburg, a former executive with Edda Media (Norway’s third largest newspaper company) marshaled his resources, and within three weeks launched a Web site to raise money and support for Gabrielsson’ s cause. No. You fight back. It’s what Stieg would have wanted.